Welcome to our first edition of Math + Code, an online magazine that connects math to coding and coding to math. We are thrilled to be launching this online resource for teachers, students and parents. 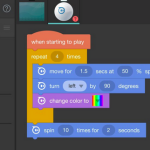 Scratch was used in this classroom to challenge what students think they know and understand about mathematics, and to learn new concepts through coding challenges. Not only did they have fun, but they pushed back the boundaries of what grade 7s and 8s are capable of learning when they learn mathematics through coding. Is the teaching of coding an “add-on” or a discipline that can be integrated into other subject areas? 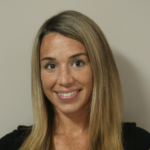 While coding can be developed further as its own curriculum area, teachers are finding success teaching young students the basics of computer programming in math class. 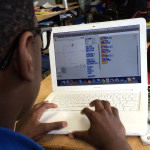 Digital tangibles provide an opportunity for students to explore their understanding of math by programming devices. 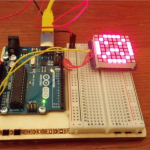 This activity explains how math patterns can be displayed on an LED grid programmed by an Arduino UNO. What do odd and even numbers look like when “playing hide-and-seek”? 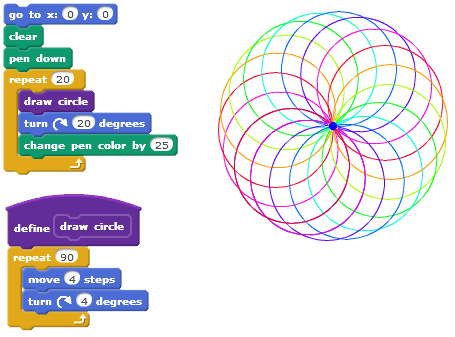 Try this activity out to learn how to make squares, circles and to create your very own block in Scratch. 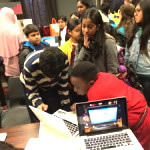 Interested In Organizing a Student-Led Math + Coding Community Event? With funding from the Fields Institute for Research in Mathematical Sciences we are offering support for organizing student-led math + coding community events. 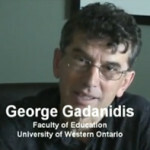 Western’s Faculty of Education Professor, George Gadanidis discusses the rationale for teaching math through coding. He walks us through past initiatives in Papert’s work and the programming language Logo. Dr. Gadanidis also considers how coding is used to teach math concepts today and what we can do to enhance math understanding in the future. 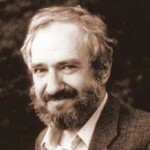 Dr. Seymour Papert is widely known as the “father of educational computing”. He helped to develop the educational programming language Logo, which helped children develop a stronger, more authentic understanding of geometry concepts. He also contributed to the development of some of the first children’s toys with built-in computation.